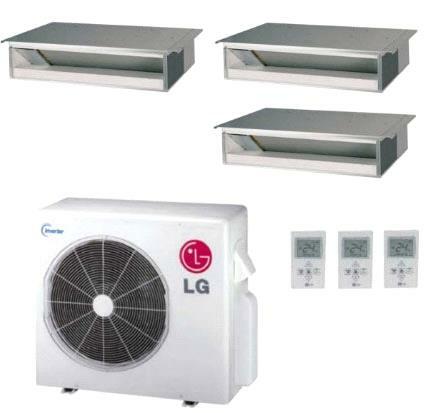 The LG Tri Zone Flex Multi Concealed Duct Heat Pump Mini Split System includes (1) LMU247HV 24,000 BTU Outdoor Condenser, (1) LMDN095HV 9,000 BTU Indoor Unit, and (2) LMDN125HV 12,000 BTU Indoor Units. This concealed duct system is designed for 3 zones and is rated at a capacity of 33,000 BTU/hour. It comes with a total of 3 concealed duct indoor units. 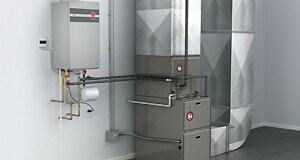 Revolutionary inverter technology minimizes energy loss, improving the system's overall energy efficiency. Each indoor unit includes one remote control. This system bears a 16.4 SEER rating, an 11.8 EER rating, and an 8.5 HSPF rating. 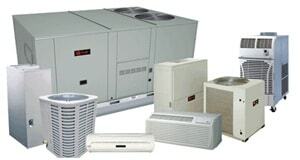 By adding the required accessories to the Tri Zone Flex Multi Concealed Duct Heat Pump Mini Split System you are receiving a complete solution completely ready for installation, so your contractor does not need to purchase additional LG accessories to finish the installation.